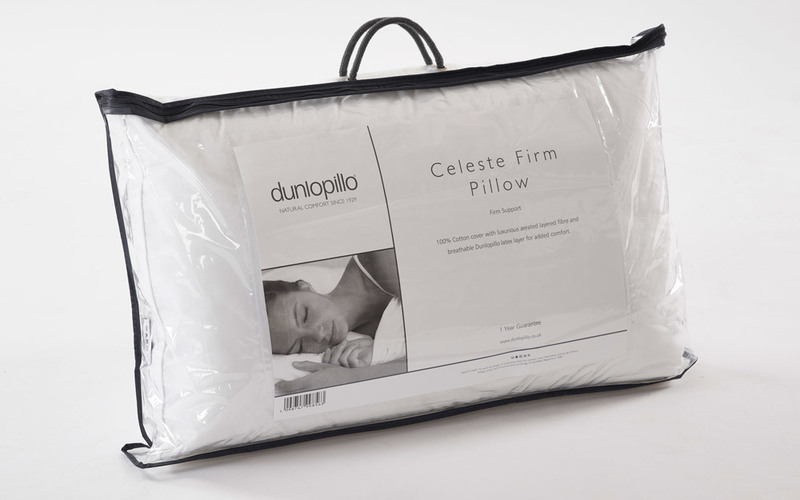 Say goodbye to everyday neck pains with the Dunlopillow Celeste Firm Pillow. Dunlopillo Latex, aerated layered fabric and a 100% cotton cover combine to create an extra-supportive firm sleep surface. Perfect for a restful night’s sleep!